Citi Field in Flushing, New York is a great place to get autographs. You can get autographs outside the stadium and inside the stadium. It is where I spend most of my time getting baseball autographs in person. Inside of Citi Field is a paradise for Autograph Enthusiasts, however some take it a tad bit extreme. Some fans sprint at players, push and even yell at the players if they don’t sign autographs. These people usually carry around stacked binders with cards of nearly every player on both rosters. I have dealt with many kids during the last Summer and it does hurt your chances of getting that signature you desperately desire. For example, I was standing outside of the stadium and Joey Votto is getting ready to walk inside the stadium. These kids yelled at the player and asked impolitely to receive an autograph. Joey Votto, as would I, walked straight into the building and neglected everyone. This is one of negative of getting autographs at Citi Field, however it could be positive because the players might specifically not sign for them and sign for you to spite them. To get inside of Citi Field you must obviously have a ticket. Tickets for Mets games are typically cheap. Most teenage autograph fanatics use their student ID to purchase a ten dollar ticket. Regular tickets at Citi Field start at about $18. You must always be prepared with your stuff to get signed because players will walk right past you. Inside of Citi Field, you must head to section 126 to get autographs of opposing team players and for Mets players you can head to section 110. These aren’t the best sections for autographs, but they are the only places to go if you do not have special seats. Luckily for me, I know a guy that allows us to move to the gated off dugout sections. You should come as the gates open to get autographs of the pitchers, but you can get there pretty late for position players as they sign autographs frequently after they stretch. Outside of the stadium, you can get autographs in a few different places. First, you can head to the Mets parking lot, which is to the right of the Jackie Robinson Rotunda. It is gated off, however some players often come to you after the game and sign over the gate. There are multiple gates where players come out like the Hodges office and the Executive gate. These gates have brought out players like Joey Votto, Pedro Alvarez, Justin Upton, and Andrew Mccutchen in the last year. You can get autographs there before the game and after the game. I have seen in the past players taking the Subway, which is where I got Travis D’arnaud to sign my baseball. Hotels are mainly in NYC and are pretty good for autographs, but are really time consuming. I don’t know much about getting autographs at NYC hotels, so I won’t go that much into detail about it. 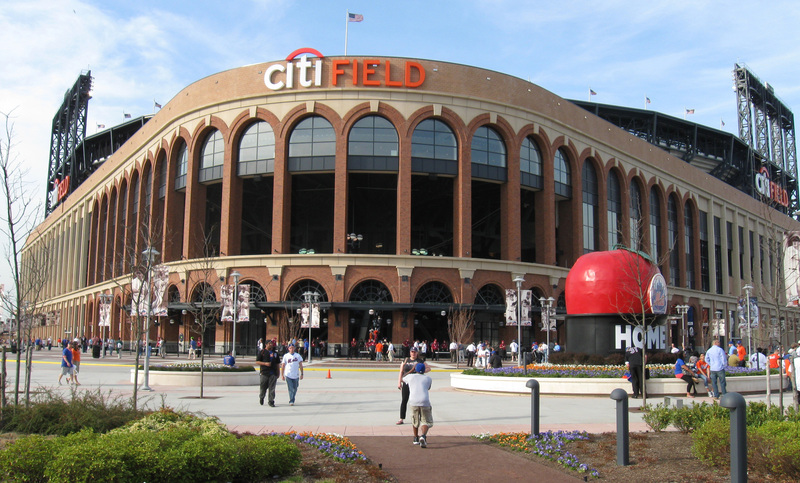 Citi Field is autograph paradise and is definitely the top autograph venue in the New York Metropolitan area. I read your November 2013 writing about getting autographs at citified. Thank you, it was very helpful. I’m taking my son, Liam, to his first met game this Friday. He is a very polite and avid baseball fan. We plan to arrive very early to try using some of your tips. Can you please tell me what time the gates open, and or help me in any other way to get close to the dugout and possibly score some autographs? Thanks again for your tiime and the writing. This entry was posted on November 6, 2013 by Dylan Bernstein in Analysis, Autographs, MLB, Swagger, Uncategorized and tagged Andrew Mccutchen, Autograph, baseball autographs, Citi Field, Fanatics, Graphing, In person autographs, Joey Votto, Justin Upton, Mets, MEts autographs, New York City, new york city autographs, Pedro Alvarez, Signatures.